So yes, buy in advance, and choose the entrance time as early as possible, because if you love the Harry Potter movies, you will spend hours and hours looking at all the sets, the props, and reading all the display boards explaining everything. And mind you, if the only day you can go is the weekend, book the tickets as soon as you know you’re going. The weekends sell out fast. When you get your tickets, you’ll have to wait until your entry time. You’ll be going through two rooms that are showing promotional movies, but then, at the end of the second one, the screen lifts, and everyone gasps as they see the entrance to the Great Hall behind it. The Great Hall is the only room where you’ll be accompanied by one of the enthusiastic guides the studio hired – she (or he, but we were guided by a young woman) will point out several things in the Great Hall, including the score counter for the Houses, which I completely overlooked in the movie. 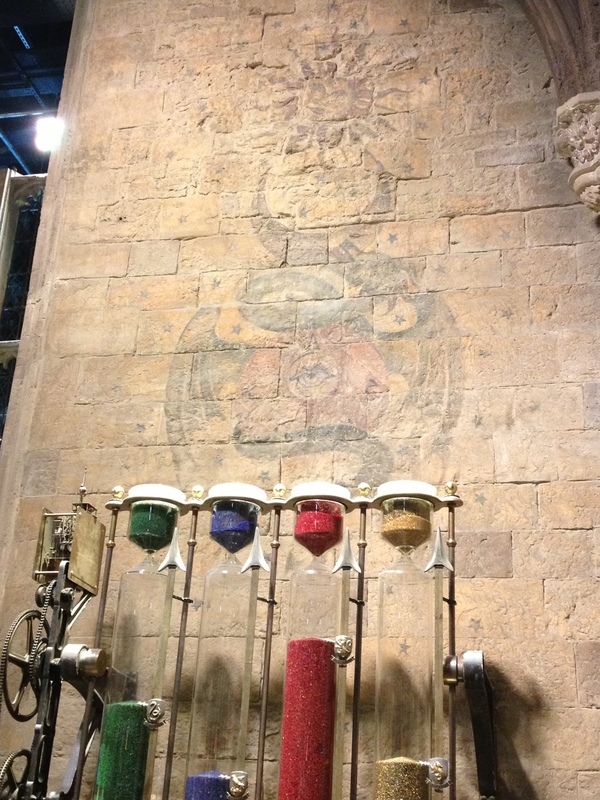 Do you remember these House points hourglasses in the movie? Well, maybe you did, but I had not noticed them before visiting the Harry Potter studio. There will be many things you’ll notice during the tour that you had not noticed in the movies before; well, unless you’re Sherlock-observant, that is. After you leave the Great Hall, you’re on your own, your visit is not timed and you can take as long as you want. There are several more sets at the studios, but these are the ones I have best pictures of, that’s why I’m mentioning them. 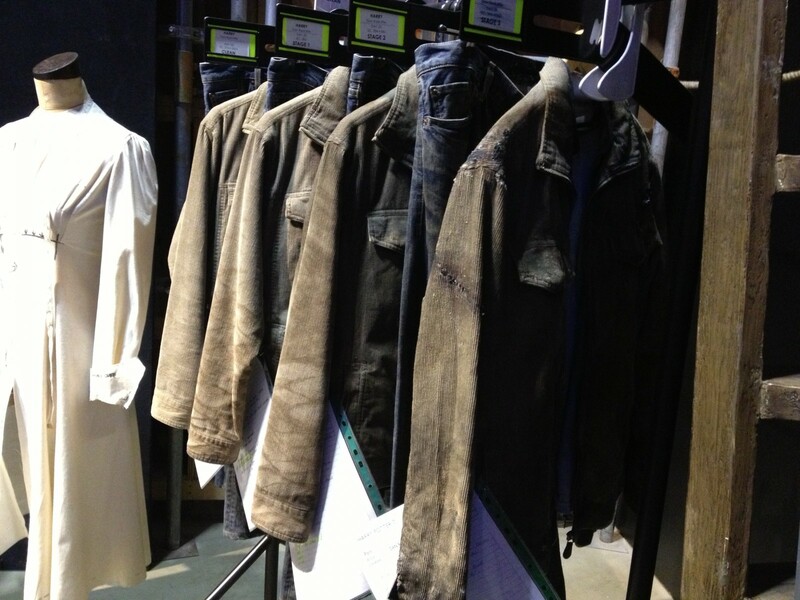 I think my favorite prop display, aside from the wands, all neatly labeled, and the wigs, was a hanger with four jackets that Daniel Radcliffe wore in “Harry Potter and the Deathly Hallows,” showing increasing amount of tear, because they were worn at different points in the movie and had to reflect not only regular “wear and tear,” but also look like they’ve been through battle. 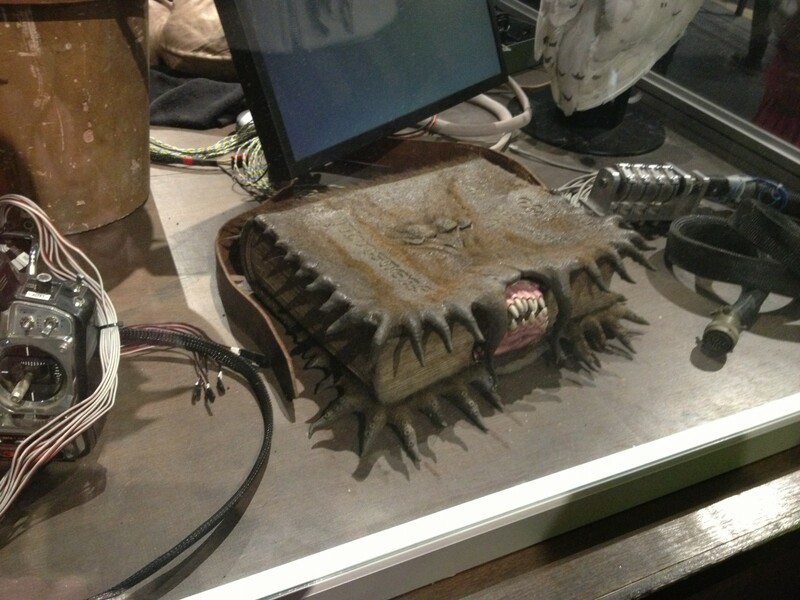 In another section of the exhibit you can also see the automated Hagrid’s head, as well as several Goblin masks, and the insides of the Monster Book, the Mandrakes, and many other mechanized objects. 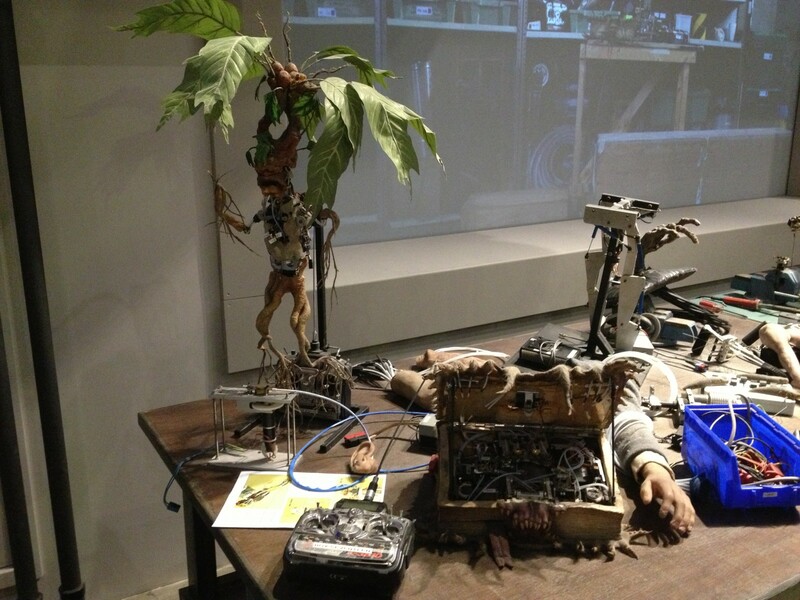 Yet another part of the exhibit features extremely detailed drawings and models created before the sets were built. My absolute favorite was a large painting of Doby. Look for it when you visit! It’s spectacular! The drawings and the models may be not as spectacular as the actual sets, but still, these drawings and models help you realize what a huge undertaking these movies were, and just how many people worked on them. By the way, did you know that many of the portraits in the hallways were of real people working on the movie? One of the displays explains who is in which painting. 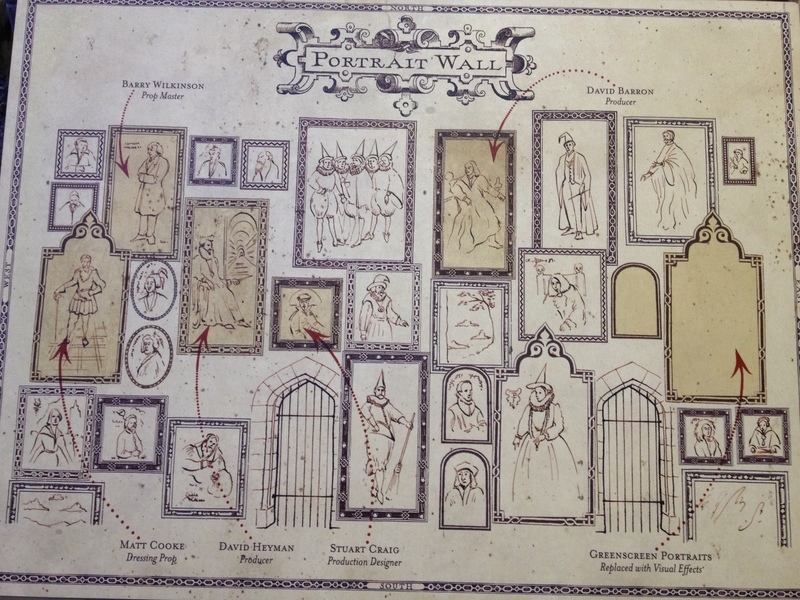 Ever wondered just who is in those paintings on the walls? Here’s the explanation. There are display boards like the one above throughout the whole exhibit, by the way, explaining various details, and that is the main reason I said that if you love the movies, you will spend hours at the studios, because you will want to read each and every single one of them. I took photos of a few of them at the beginning of the tour, with the intention of reading them all later, but there were just too many of them, and the kids were getting impatient. I guess I’ll have to go there again some time, maybe when the kids are bigger. The last part of the exhibit is a large scale model of Hogwarts which apparently was used in the movie and enhanced by CGI. After exiting that area, you’re in the shop, of course, and yes, things are pricey, but we did splurge for a “real” replica of Hermione’s wand (just don’t ask me how much it cost). All in all, if you love the movies, the Harry Potter studios are definitely worth visiting if you’re in the area. You won’t see this collection anywhere else! Mixed Nuts: Our Blended Family’s Crazy Life calls it “crazy amazing” in her post “Day 3 – London” which has a TON of photos from the studios. WorldTravelFamily said: “It’s not cheap and it was a 4 hour drive through terrible traffic on a cold, wet January day, but was it worth making the trip to the Warner Bros. Harry Potter Studios Tour just north of London? 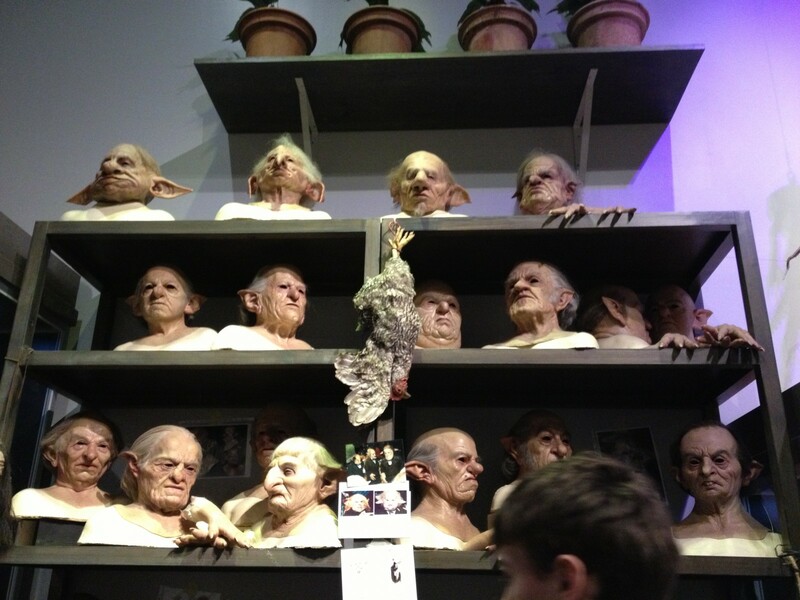 You Bet Harry Potter Was Worth It!” in their “Harry Potter Magic Harry Potter Studio Tour UK” post. By the way, if you want to see more of our photos, there are a LOT more on our Flickr photo album from the Harry Potter studios. If you’re planning a visit to the UK, you are more than welcome to take a look at our other articles about the UK, and follow our UK and UK | London Pinterest boards. And if you liked this post, by all means, feel free to comment, and pin it on Pinterest, or share it with your friends on Facebook or Twitter. Where to Stay in Leavesden? I’m not sure if you’d like to stay in Leavesden, really. However, if you’re looking for a place to stay in London, you have PLENTY of options to choose from. Take your pick! Thanks so much for linking to my post on our visit to the Warner Bros. Studio Tour! We had such an incredible day there that my older daughter is already planning a return trip when she visits a friend at school in London next spring! You are welcome, Lisa! My pleasure. I hope it will bring some visitors to your great blog! Thank you for reading, Lesley! I’m glad this post made you want to see the exhibit. If you love the movies, you’ll love this place as well! Jolanta, we are such big Harry Potter fans, your descriptions of the details are so enticing. We’ll have to makes sure to visit on day soon! Thank you! Thank you for reading, Brenda! I think your kids will like this place, if they like the movies. Amazing! 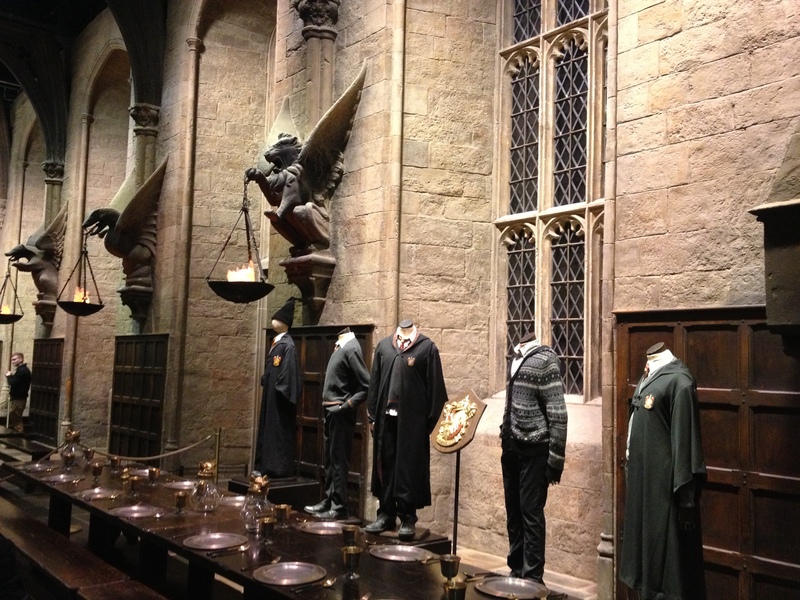 My Harry Potter obsessed girl would fall over if she went here. I’m going to have to show her this post. Thank you for reading, Beth, and thank you for sharing this post with your daughter. I hope you’ll get to see this place some time, if she loves the movies. Thank you for reading, Sarah, and I’m glad to hear you loved the place too. It’s huge, isn’t it? I’ll have to check out your post on Orlando’s place. We haven’t been there yet. Wonderful information…we’ll have to include this in our trip to London! Thank you for reading, Amy! Yes, the place is definitely worth putting a day aside for, while you’re in London or the area. My son went with my dad in December and LOVED it! So much so that I now want to go too. You should definitely go there as well, Katja! Thank you for reading and commenting. 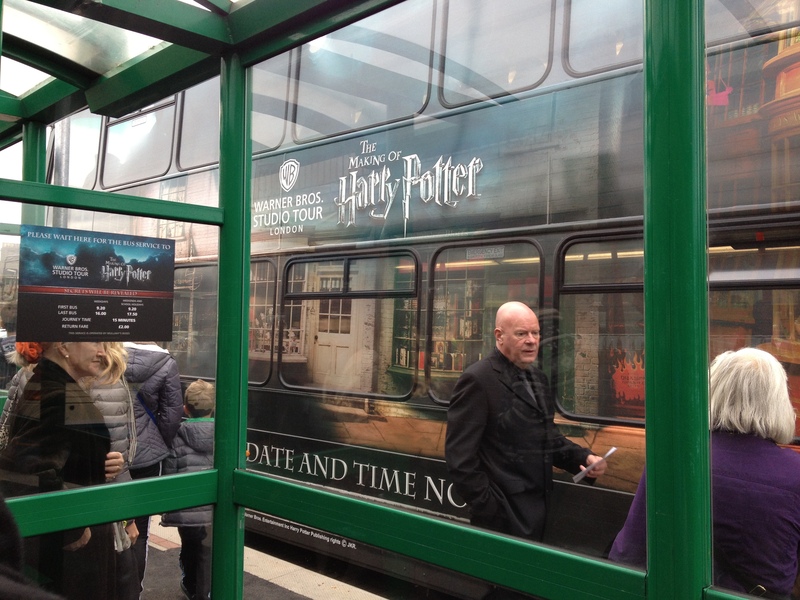 What an amazing adventure for any HP fans! We were able to visit Universal Studios last year and it made us all fall in love just a bit with the series. Love all the detailed tips, especially the ticket pre-purchase warning! Thank you for reading, Kimberly! I’m glad you like the post. We’ve never been to the Universal studios, but it’s on our list. Good to know you MUST by tickets in advance. Thanks for highlighting that right up front. I’d love to go! We are such Harry Potter fans. Just looking at your photos makes me geek out a little. Would love to see in person! I would go just to see Dobbie! 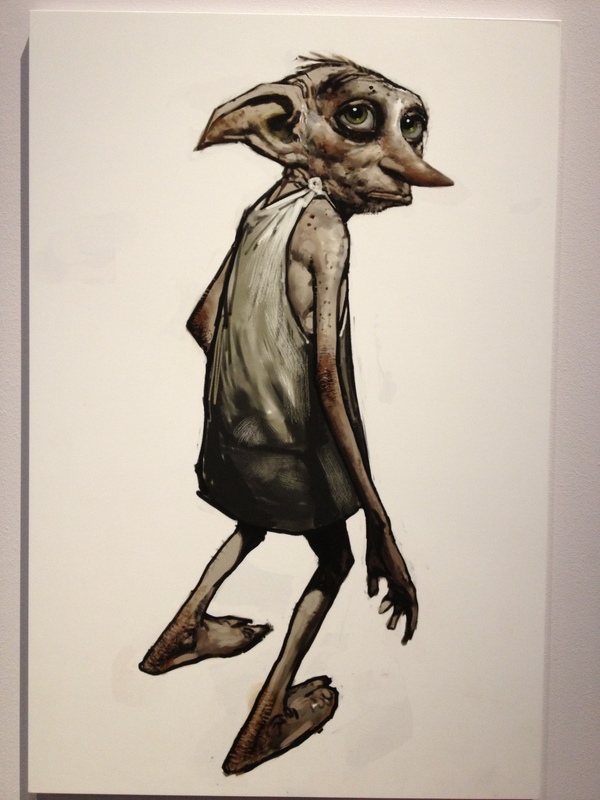 I love that you got a photo of the Dobby drawing. I didn’t end up taking one. I love the harry Potter books but somehow never got into its movies: it happens to me sometimes, when books are THAT good. But this studios look fabulous and I can imagine they are truly ‘magical’ for a fan!